General view. Titled Yarrow Bridge. 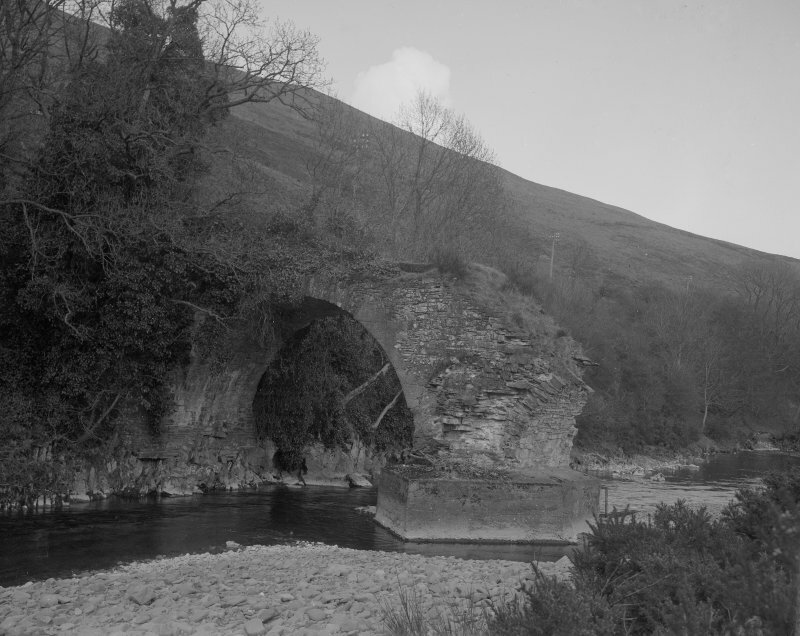 Old Bridge, Deuchar. Some 70 yds. 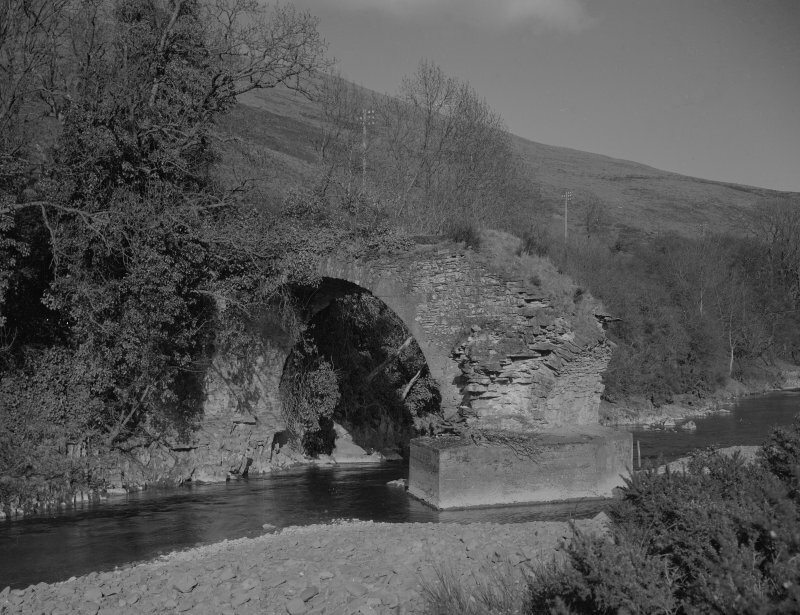 E. of the inflow of the Deuchar Burn, the Yarrow has been spanned by a bridge of which only the northern arch, the central pier with its cutwater, and part of the southern abutment now remain. The southern arch has disappeared, together with the parapets and approaches. The bridge is 12 ft. 6 in. wide above the central pier, and the surviving arch has a span of 30 ft. The masonry is of rubble, and the structure shows extensive repairs - some of them in concrete. A bridge of two arches already stood here in 1722, and as it bore the arms of the Duchess of Buccleuch, whose title dated from 1663, it may have been built before the end of the 17th century. This bridge was broken down by a flood in 1734, and appears to have been either repaired or replaced in 1748. It is impossible to say whether the existing structure is the one that was ruined in 1734 or a successor ruined in its turn at some later date. 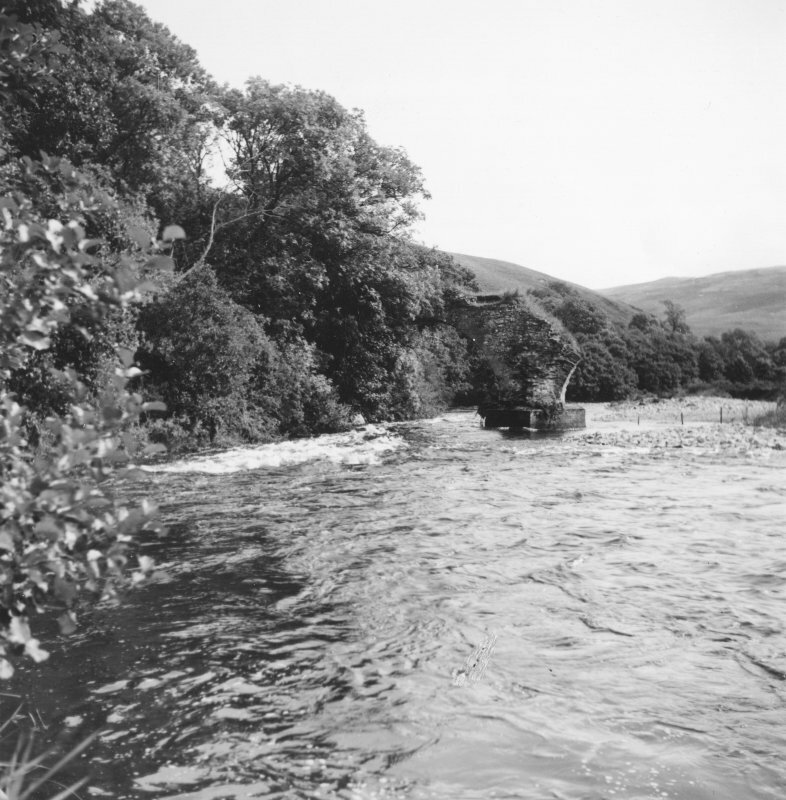 The remains of the bridge are as described by RCAHMS.